Mrs. Shreiber in her living room with the wooden model ( exact and detailed replica ) of the Mielec Synagogue. 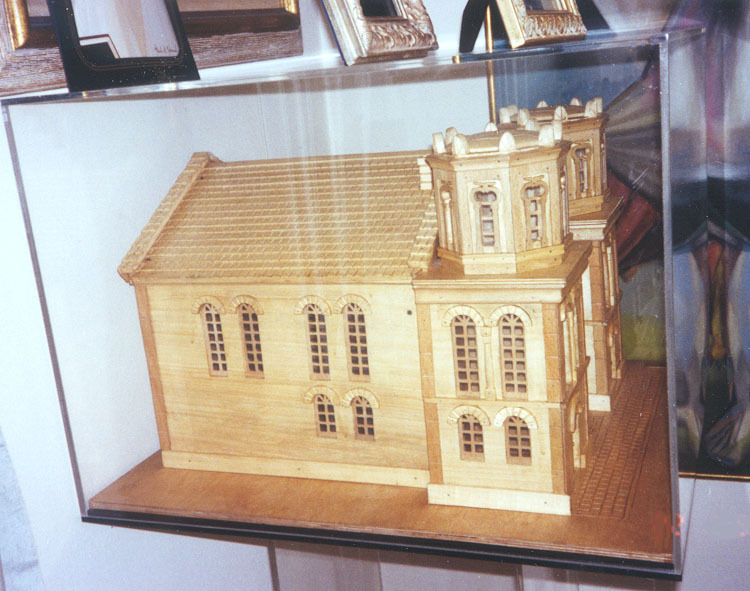 Wooden model of the Mielec Synagogue. This is an exact and detailed replica commissioned by Mrs, Shreiber .